. It’s a pretty serious camera: 14.2 megapixel, DX format CMOS sensor, Live View shooting, face detection function that can detect up to 35 human faces, and it will shoot full high definition video. 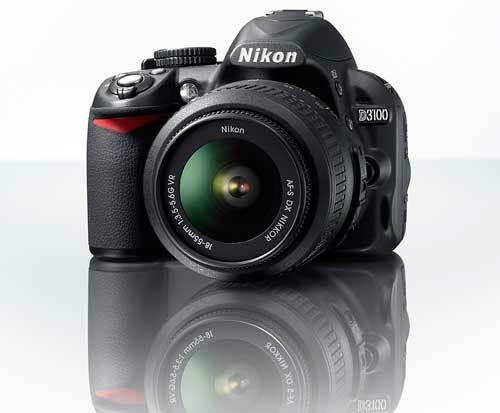 All of this, and a Guide Mode that will help DSLR newbies make the most of the camera, looking to give the D3100 the ease of a point-and-shoot compact digital camera. All of this imaging power, and ease, and the Nikon D3100 will be priced in the budget range, perhaps around the $700 – $800 mark. Read more about the price below. Given the price, the specs and the ease-of-use, this is a very interesting camera. And the really interesting thing will be to see what effect its release has on the competition. It’s a serious camera, so here’s a serious list of its specs. Self-Timer: Electronically controlled timer with duration of 2 or 10s. AF-S DX NIKKOR 55-300mm f/4.5-5.6G ED VR: Nikon’s newest DX-format, super telephoto zoom lens. An exceptionally lightweight and compact interchangeable lens that guarantees simple and enjoyable super-telephoto photography. AF-S NIKKOR 85mm f/1.4G: a fast, mid-telephoto 85mm fixed focal length lens. AF-S NIKKOR 24-120mm f/4G ED VR: a 5x standard zoom lens with a fixed maximum aperture of f/4 throughout its entire zoom range. NIKKOR 28-300mm f/3.5-5.6G ED VR: a 10.7x super-telephoto lens that covers a broad range of focal lengths from the wide-angle 28mm to telephoto 300mm. 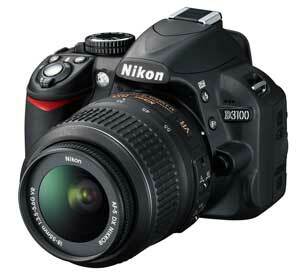 Nikon have given a release of date of September. Nothing more than that. And as for the Australian price, there was none given, no camera price, no lens prices, only that pricing will be announced in “early September”.